I am having a strange problem with my windshield wipers on my 2011 MDX. 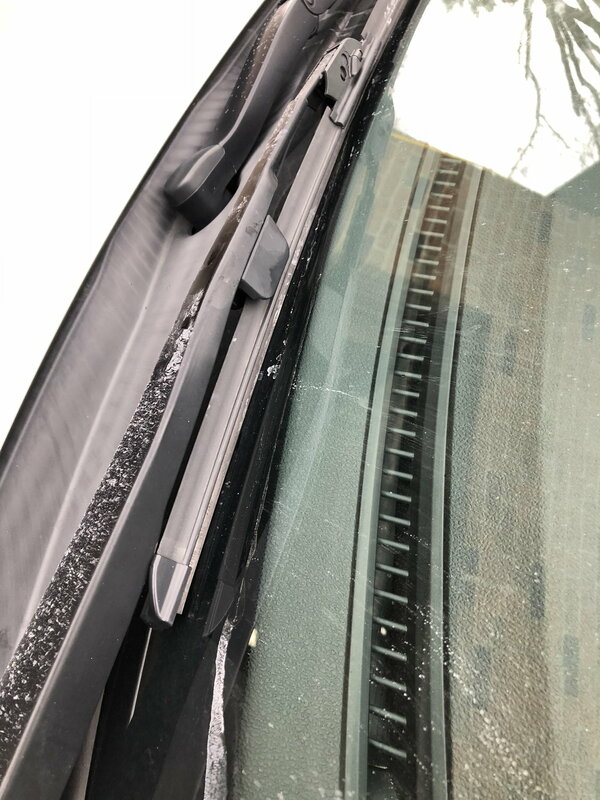 At speeds over 45-50 mph the driver side wiper lifts off the glass slightly on the down stroke and does not clear the window. On the way up the wiper works fine, and the way back down it lifts up ever so slightly and leaves a fair amount of water (or snow) on the windshield. I bought brand new top of the line Bosch wiper blades and it still occurs. 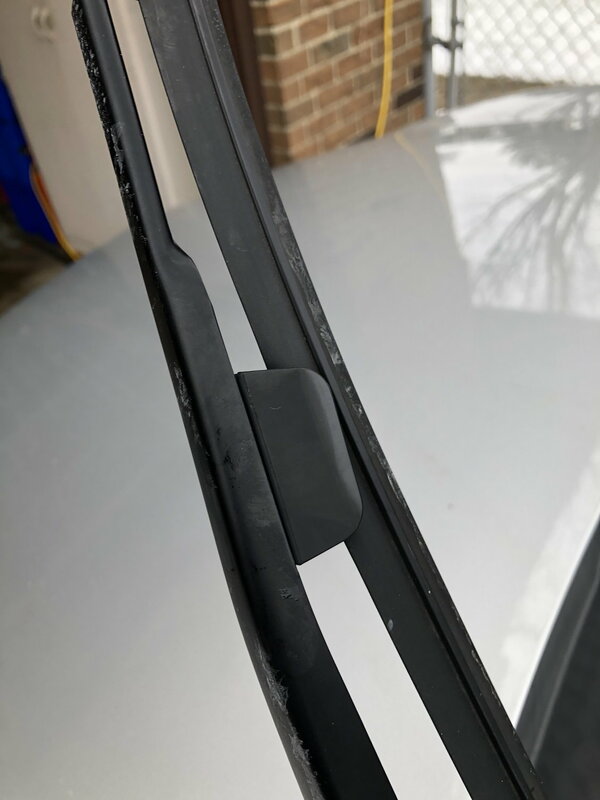 Should I try bending the wiper arm slightly down to increase the pressure of the blade on the window? Could the wiper blade be aftermarket? I finally upgraded to Bosch Icons on my MDX a couple of weeks ago. I've had them on all my other cars and I love them. So of course I was very disappointed when, after installing the Icons, I began to see a huge drivers side void on the wiper's down swipe. I thought the wiper may just be settling still, so I lived with it for a day or two. It became quickly apparent that the void wasn't going away, and if anything, the missed area would go from bad to worse. I exchanged the Icons with Rain-X Latitudes. Same story, but with (in my opinion) even worse performance overall. Still the void on the down swipe, and generally not as clean of a swipe. And the Latitudes have a bigger mounting bracket that's ugly to boot. So I finally decided to give up on the aftermarket blades and just get OEM replacement refills. I went to the parts store to return the Latitudes, and a different guy helped me, and immediately knew what the problem was. There's a little plastic bracket on the driver's side wiper arm that holds the blade in place. 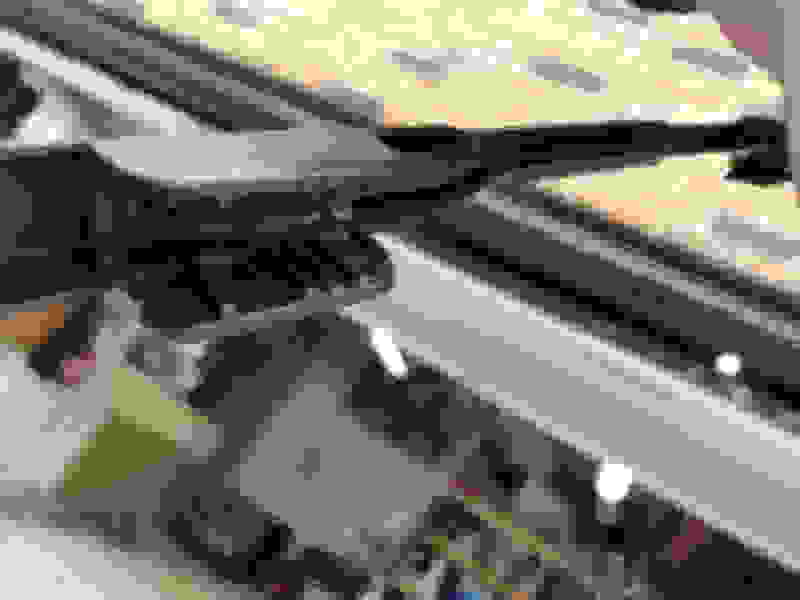 It's a black plastic U shaped thing. The left side (as you're sitting in the car looking forward) of the driver's wiper blade fits up into the U shaped bracket. And lo and behold, the aftermarket blades are shaped such that they don't fit cleanly into the bracket. The gentleman at the parts store explained that if I just unscrew the bracket (one Philips screw) and removed it, the blades would work flawlessly. So I did, and at the same time exchanged back for my Bosch Icon blades. They've been working flawlessly ever since. No missed spots or voids AT ALL. And that wonderful Bosch Icon wiping performance. So if you're having issues with voids on the drivers side after going to aftermarket. remove that bracket and I'm betting your woes go away immediately. Hope this is helpful to someone dealing with the same annoyance I was!" Or what you can do is just re-use the old blades and refill the wiper blade refills using PIAA Super Silicone. It works well on all my cars. Well what do you know.... I installed PIAA's a few months back and couldn't figure out what the big deal was - always left a void on the driver's side. As soon as I read this post I left my office and went to my truck, removed the bracket, tried the wipers and surprise surprise, it works as advertised. Thanks for the heads up, I was about to try new blades. Thanks everyone. I was having this same issue and it was frustrating me. I just removed the bracket. Wonder why it was even there to begin with.